QuickBooks is a boon to small and medium business accounting. It helps owners and managers maintain book-keeping and to track all their accounts sans a zillion spreadsheets, tables, charts and books. It quite cleverly helps one manage their sales, inventories, invoices, payroll, balance sheets, tax, yada yada… However, as is the case with any software, it is possible for users to unwittingly snag on some errors or face certain speed breakers when they have missed out on some preliminary precautions or omitted certain set-ups. Reconcile bank statements: This is the basics of accounting – reconciling your accounts to ensure they tally. Don’t omit loans and taxes either. After entering statement dates and end balances, and checking off cheques and payments, you should see a zero at the end of the page. Reconcile credit cards: Naturally you will be using a credit card for your sundry expenses, and this will amount to a significant sum. 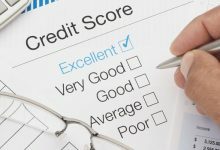 So if you are reconciling your other finances, you ought to reconcile your credit cards, too, to benefit from a more wholesome and reinforced financial consolidation. Set the sales tax preference: In all likelihood, the goods you sell come with a sales tax criterion. QuickBooks allows you set-up your sales tax preference to maintain straight records. This can be set under PreferencesàSales Tax. Review balance sheet statements and P&L: Profit and loss is the fundamental reason for the art of accounting. And it is relevant to the progress of your business. It is imperative you review your P&L, as well as your balance sheets to understand cash flows and where your company stands. The software only computes, but you need to analyse. Failing to do so may cost you dearly. Back up data: This is the worst problem you could face in your accounting. It could be a hardware malfunction, a system crash, or data tampered. Backing-up your files at the end of each day assures you peace of mind. Don’t leave open bills and invoices: When money comes in, don’t directly start making deposits. First record the amount in the Receive Payments window, so that on record the invoice or due bill is marked as paid. Don’t delete transactions: If a particular transaction is complete, don’t delete it straightaway. Usually transactions are linked and interlinked with each other, so you may inadvertently delete details on associated dealings. Lock a closed period: Once you deem a period fit to be closed, don’t forget to lock it. This way no one can intentionally or unintentionally meddle with the data. Set-up report settings: Reports give you a vital analysis of your company’s financial health. If your settings aren’t set-up correctly they may render incorrect reports, which in turn will incorrectly inform your business decisions. Using the Write Checks Window to pay payroll taxes and loans: Firstly, you should be entering a bill before you write a cheque, and then pay it off against the online bill entry. This maintains a record of the accounts payable. Secondly, payroll taxes and loans shouldn’t be written off in the regular manner of an AP. 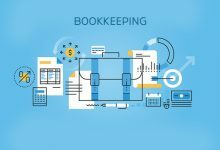 QuickBooks records the amount of payroll tax a business owes, and has a Payroll Liabilities window to maintain this separately and make the proper deductions. Likewise, for loans use the Loan Manager set-up under the Banking Otherwise you may only have a naïve understanding of cash flows without really knowing where the money went. These are just 10 of the inadvertent mistakes or carelessnesses that QuickBooks users can avoid. 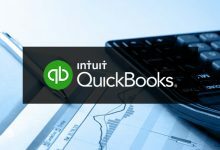 QuickBooks is a great software built to adapt to all kinds of businesses and to make accounting easier. It benefits to avail yourself of this by trying to learn about its expansive features and potential, and incorporate it into practice for facile accounting.